The Deep hood version 'super oversize hood' features a wider fit on the neck allows even easier t’shirt / top / wetsuit changing & the deeper hood really gives a feel of being buried inside and protected from the elements. 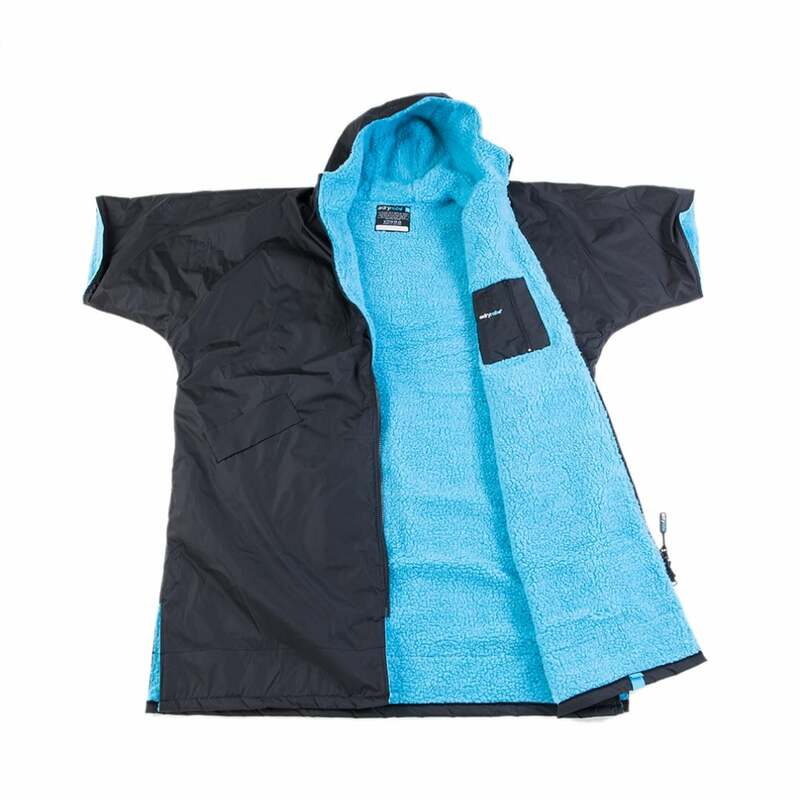 The dryrobe has our standard wide easy fit change space at 84cm & all the usual features. It is our most relaxed 'easy change' fit to date. Full length 2 way reversible YKK® zip - You can operate the zip from inside the robe, while changing, or from the outside, as normal. This is an essential element in the design so as to allow fast easy entry & exit. External fleece lined pockets - keep your hands warm & store your essentials with super safe, chunky YKK® Zips. A huge 20 x 26cm internal 'soft lined pocket for storing underwear, clothing or thermal base layers. LARGE Size : Length : 1.2m long from shoulder body change space 84cm wide, The Adult size suits 5'3" up to 6'3"